When I was a child I wanted to be an athlete, because all my friends wanted to. I had endurance and would do well in long races, but was not impressive on short races. On top of that, I was very skinny, and my friends did not see me as a potential team player on our outdoor games. I found my niche in gymnastics but my parents were worried for me to join the club, which was on the other side of the city. My sports teacher at school was a tough lady who would not spare us of yelling if we did not measure up. So, I hated sports. When I told my brother that I was injured last Friday at the gym, he could not believe me. I was not the athlete type that he recalls. When the doctor learned that I was injured at the gym, gave me that wondering look: girl, you are not overweight, what were you doing there?! He was right, at this time of the year many women get crazy in my city and gyms are full of people obssessed of their shapes as the beach season is at the door. But I am not that type. Plainly said I went to the gym because it was good for my health. I have been in a transition phase in the past 5 years and there has been stress. A good friend of mine encouraged me to increase exercising. And it was very good the first 2 days I went to the gym. But I was tired that day as it was the 5th day that my husband was on a trip. Water supply went of at our apartment so I decided to use the time and go. Accidentally while transferring from a broken treadmill to another a few steps away, I stepped unto the treadmill next to me, and in a second i found myself on the floor excruciating in pain. yes, just like those videos we find very funny. So for 6 weeks now i am on limited move. To make things more complicated it is my right arm. ouch, how can I resist without writing for 6 weeks?! There has been only a week and i don’t have a spiritual explanation of why it happened to me, but there has been no day when i have not thought about the illustration of the body of Christ and different gifts in 1 Corinthians. I can now feel what Paul meant when he wrote that when one part suffers, all the body suffers. Let me explain. Because of my injury, I am now limited and my family has to come together like never before to compliment the work I can not do now. So they are taking my burden now. Because I am suffering, they are sharing in my suffering too. Als0 I am learning dependance on one another. I depend on my family now to take care of myself like help me dressing, combing, washing and tie my hair, put make up on etc. That requires trust. But I do not doubt them, why? Because I know they love me. I trust in their love for me. Likewise when our relationships in the body of Christ are characterized by love, we trust each other and can be vulnerable with our weaknesses, letting others serve us when we are weak. 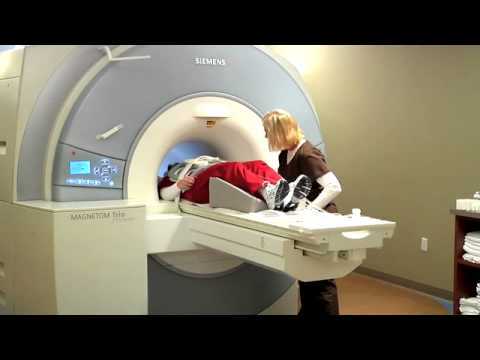 The comfort and assurance of prayer: As part of my examination I had to do an MRI. I have told myself I have claustrophobia, thus entering and staying in a tiny tunnel for 40 minutes it is not a nice feeling. But I am comforted by the little intercom buzzer they give you in to call them just in case you do not feel well. That makes you feel like you have some control. Well, the doctor forgot to give me the intercom “buzz”, so just before they would start with the procedure, I was reminded that they forgot about that, and for a minute I panicked. I started to move my feet with the hope that they would see me and come back, which they did. Apologizing they gave me the buzz and put me back in. This time I was in total peace. Why? The tunnel did not change. But my situation changed. I had some control in case I would panic. That little SOS buzz on my left hand was my way out. And then was when I thought of prayer. Prayer is like that little buzz when we go through valleys of the shadows of death. We know that when we call our Father he will be there for us. Why don’t we use it then more often? And I am learning a new skill as I try to cope with the situation and use my left hand. At the end of my healing period, my left will be stronger and more skillful than before. It makes me wonder how God uses times of weaknesses to strengthen us in areas we are less developed. These have been my reflections so far. What about you? What are some lessons you are learning as you go through a tough and challenging time? Do you experience assurance that God is with you? Are you using the prayer “buzz” to call unto Him?